Our flight was canceled from Lima, Peru to Toronto, Canada. 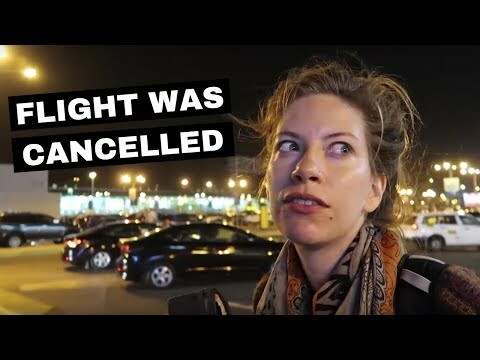 In this travel vlog we highlight the entire experience of having our flight canceled, how we stayed an extra night in Lima and how we finally were able to fly back home to Canada. We start things off by showing you a tour of our apartment in Lima, Peru before hopping on a bus bound for the airport. At the airport we have one last meal at Tanta restaurant before boarding our flight bound for Toronto. Once on the plane there are some problems with the aircraft and after trying to fix those for a couple of hours we’re scheduled for a flight the following evening. We end up staying at a hotel in Lima to catch up on sleep and enjoy a few nice complimentary buffet meals together. Once back at the airport we have a final meal at Tanta before flying back home to Toronto from Lima with Air Canada.